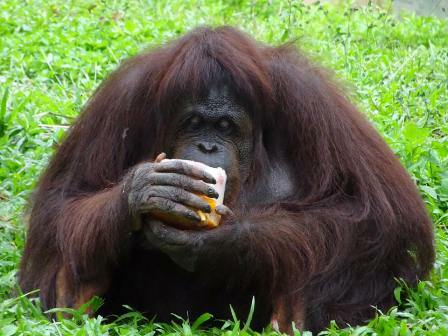 Are orangutans more similar to humans than we already thought? New research from the University of Durham would suggest that this is the case. Rocky, an 8-year-old orangutan living in Indianapolis Zoo, USA, has shown that he is able to learn to make entirely new sounds by mimicking humans. It was previously thought that great apes could not control their voices, but Rocky copied sounds made by the researchers exactly, proving that he could choose to change the pitch and tone of his voice. 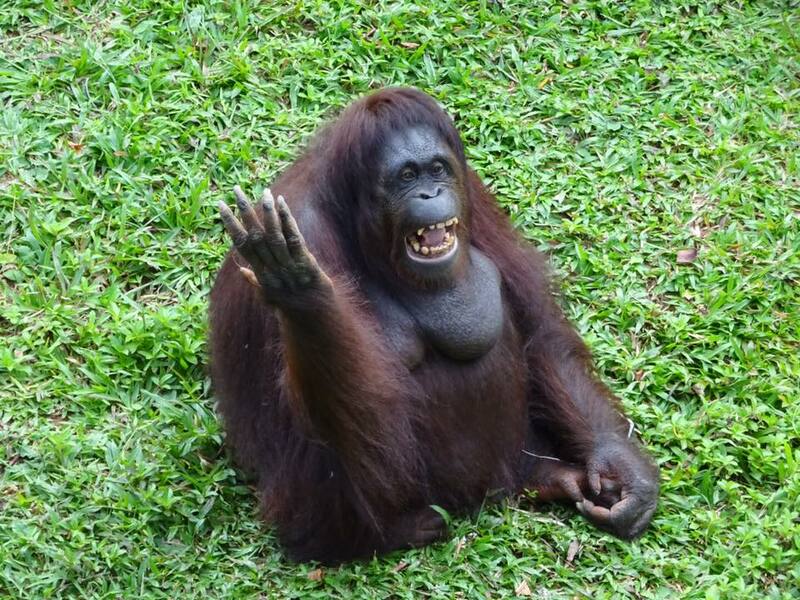 This is an exciting discovery, as not only does it suggest that both orangutans and humans originated from a shared ancestor with the ability to form some kind of speech, but it also provides more information about how orangutans might communicate between themselves. Speech is a learned behaviour. This means that in order to speak you need to be able to learn new sounds and replicate them. It was previously thought that great apes made sounds simply because they felt compelled to do so, but the discovery of Rocky’s voice control suggests that orangutans can choose their voice and learn new calls, so expanding their range of sounds, and developing a language of their own. Maybe we really are one step closer to talking with animals! Find out more about how to work with these fascinating primates on our orangutan conservation programme in Malaysia and Borneo.